25 reviews for "Watermelon – Indica"
Absolutely amazing. Great smell & taste. Takes the edge off without putting you right out. Just got my order, so far i’ve tried this which looks, smells and tastes amazing. Very relaxing effects. Will definitely sticking with you guys! Bravo! I applaud the ace responsible for this bud right here. The taste and smell is just *bliss* You can feel the love put into it. Amazing taste! This is a must order. Top notch strain! Excellent smell and taste. Honestly this has to be one of the best strains GB is selling at the moment. The high is great, I don’t see anything wrong with the buzz. I would definitely recommend this strain to anybody that buys on this site. Fantastic strain. Great smell and taste. Great day time smoke, not too over powering allowing to get some stuff done without too much of a head high. Extremely well grown herb. Such an awesome strain. You must try for yourself. “Mmmmmmm…..” what a wonderful tasting strain kinda has a watermelon-candy flavor to it, goes down very smoothly without irritating or tickling your throat. Best for night time usage as it’s effects can be very potent and cause couch-locking syndrome. So if you’re lookin’ to chill out comfortably numb in the evening and need a good night’s sleep this is the one for you. Also good for chillin’ out to music or movies but you will eventually lull off to sleep without realizing it. 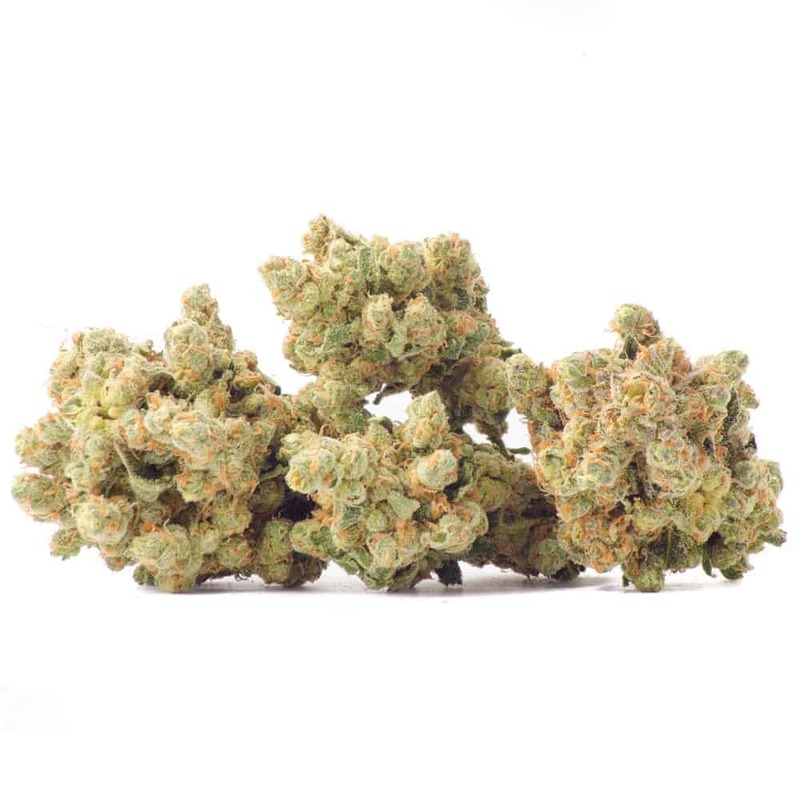 One the best strains I’ve ever had the pleasure of ordering from goldbuds.ca in the 2 years+ that I’ve been ordering from here, recommended to “chronic” users this will get the job done and then some!!! Season’s Greetings. It does creep up but never overwhelms you once it arrives. Taste exactly like watermelons when inhaling and a nice earthy undertone when exhaling. Absolutely gorgeous, loving it. Easily my favourite so far! You get that slight watermelon taste and is excellent in a vaporizer. Nice big buds covered in crystal that smell amazing…sometimes I just open my jar and smell in because it’s so good. Gives a super relaxing feeling but I can still function and some times I am more focused when I have it. Great for night time use or if you just want to relax and take it easy. I make sure to have some every night before bed to ensure a good sleep. When I first tried it I had broken ribs at the time and it really helped with that as well. 100% recommend and will definitely be ordering more and more. Worth the penny.and lasts along time. I was rolling skinny’s and was perfect. Nothing to dislike about this bud. Long lasting, soaring high. Packs a punch. Fruity scent, delicious looking bud. This was quite a treat. AAAA+ Very crystally and good flavor! Top quality buds of my favorite strain! Please restock! Thanks! By far my favorite bud. I’ve ordered from a lot of sites since legalization and GOLDBUBS is by far my favorite. a little bit pricey but quality over quantity any day. Very nice, but should be less expensive. I was expecting a little more trichromes and taste but still very nice but not worth the price.